WHAT I ATE WEDNESDAY: Nashville Eats! Nashville keeps getting better and better. Today was beautiful, although I had a bit of a difficult time eating all I needed to eat. Nonetheless, let’s get into it! Breakfast. This morning’s breakfast was the same as yesterday! 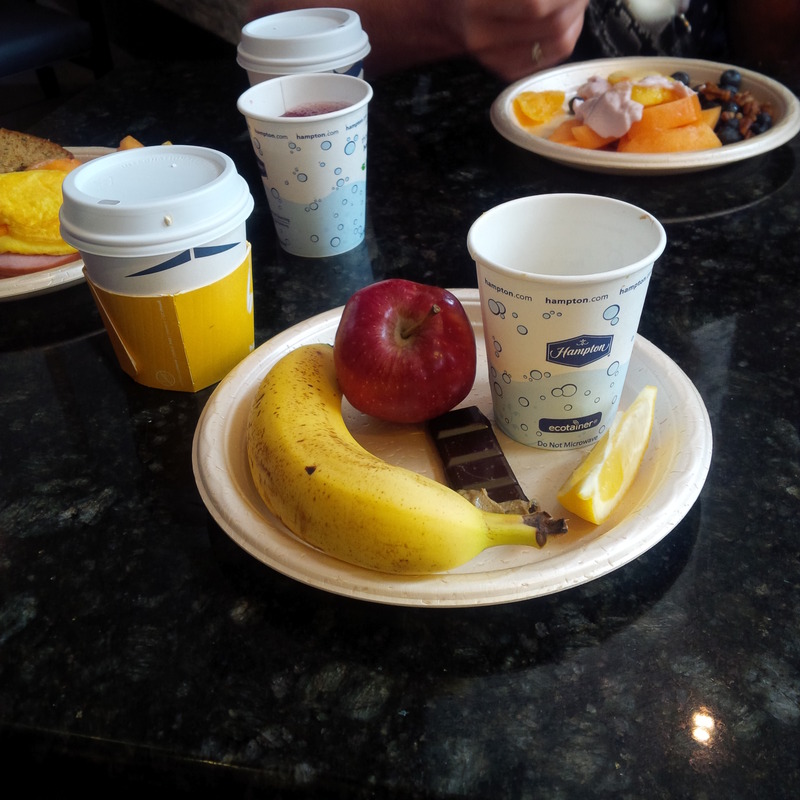 Our hotel has free breakfast, but all I’ve taken advantage of has been the fruit. I took an apple, a banana, and a black coffee, and in the cup there’s more dark chocolate that I brought, raisins, and sunflower seed butter. Though these are safe foods, I got calories in, so that’s important! Lunch. After breakfast, my family and I headed upstairs to freshen up for some more touring downtown! That’s when my little sister checked her “second favourite singer,” Halsey’s, Twitter feed, only to see that she was opening for Imagine Dragons on their Smoke and Mirrors Tour TONIGHT. Courtney literally somersault ed from one bed to the next with excitement. It was unreal to see her so happy. She’s been talking about seeing Halsey for so long, and what are the actual odds that the one time we’re in Nashville TN she is, too? We hit up Starbucks, where I got a VENTI SOY LATTE (haven’t had anything other than black coffee in months), and then the box office at Bridgestone arena, literally right beside our hotel. There were tickets available and we snatched five. Courtney danced around the lobby and greeted every stranger. Excitedly, we toured a historic church downtown and more shops, country music playing everywhere. I am Neverending ly amazed by the southern hospitality. After shopping awhile, and HITTING WHOLE FOODS!!! !, we went to the Pancake Pantry for lunch, the most famous pancake house on the planet. The waitress told us she’d met Taylor Swift, Luke Bryan, P!nk, and more! 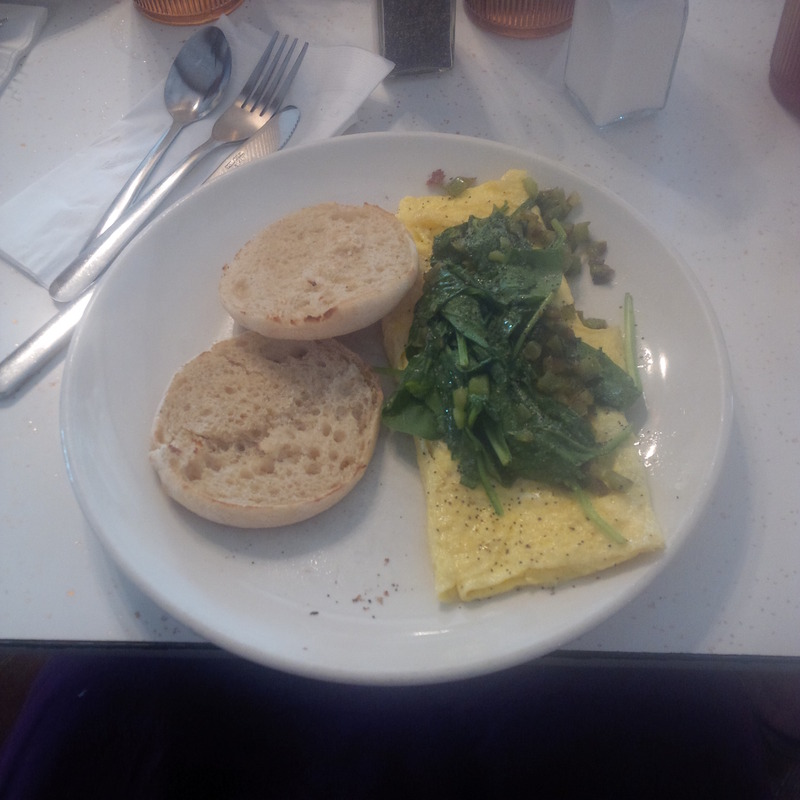 I got a spinach and green pepper omelet with an Englishmuffin. Snacks. After lunch and more shopping, we relaxed at the hotel for a bit. I got in a quick workout and snacked on some carrots with sun butter before dinner. We got all ready for an early dinner before the concert. Dinner. We were all still pretty full from lunch, so we settled on Panera Bread as a lighter dinner. I am dismayed but feel it important to acknowledge that I had a panic attack on the way to the restaurant. I have been freaking out about all my food today in fact, and this really bothered me, until I prayed, focused my brain, and turned away from triggers. I was comparing my food to others, body checking, and not focusing on the important things. The panic attack was scary, but I am grateful for every downfall. 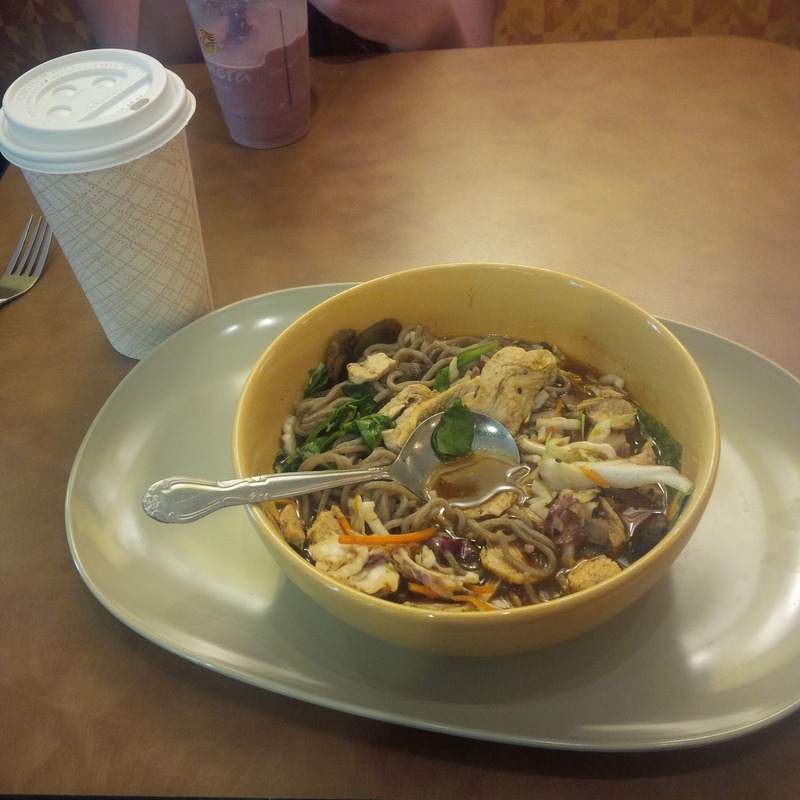 I powered through a chicken soba bowl at Panera. .Snack. 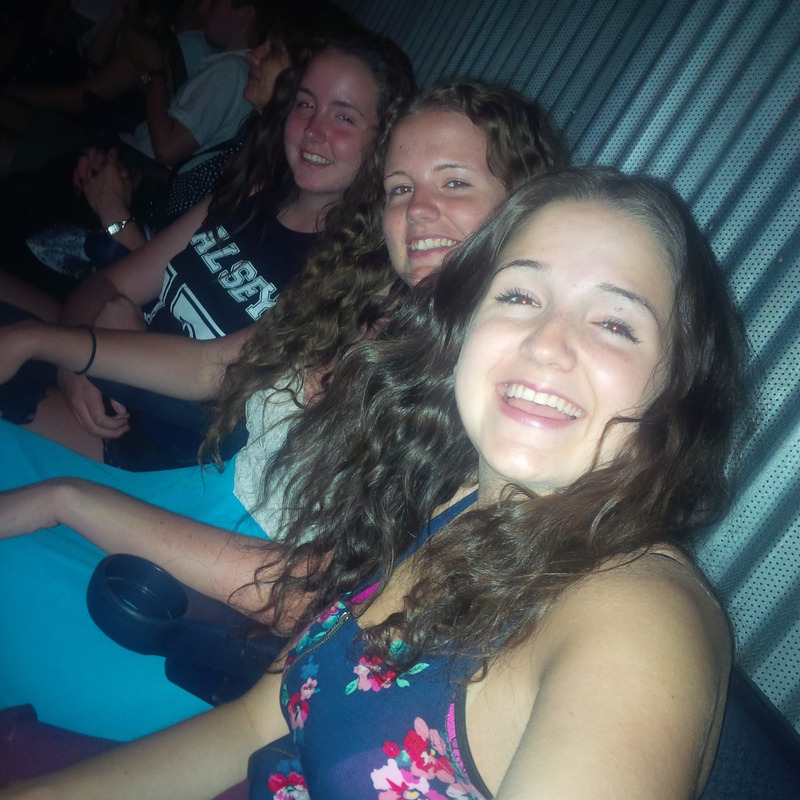 We were all so excited to get to the concert! Remember a few weeks ago I told you my favourite current song was Hold ME Down by Halsey? When she sang it, I bawled my eyes out. Anyone dealing with an eating disorder I think would relate to this. Singing along, I released so much anger and pain. Halsey was AMAZING, and Imagine Dragons was the most talented group/artist I have ever seen, and so humble. I never wanted it to end! When it did, I came back to the hotel with a grumbping tummy, and so I made a full #onecupclub of oats with cocoa powder and sun butter. 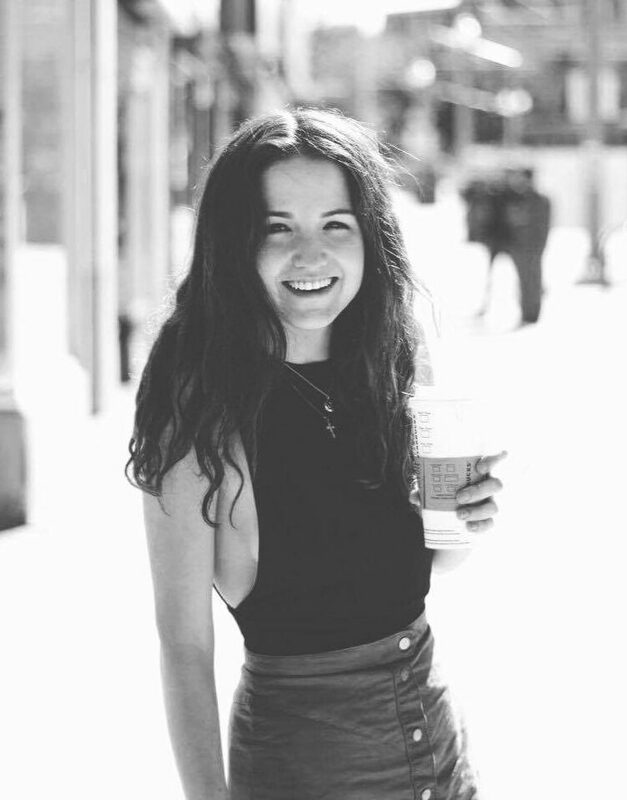 WHAT I ATE WEDNESDAY: Canada Day! Ahh wasn’t it awesome?! Thanks for reading girl! Wow you are so lucky! I want to live there, have you been downtown! Thanks for reading love!